WELCOME TO A PRIVATE TROPICAL PARADISE WITH A VIEW TO THE LAKE AND A SHORT WALKING DISTANCE TO THE BEAUTIFUL CLUBHOUSE & ALL THE AMENITIES, POPULAR GIBRALTAR MODEL, 4BD/2-1/2 BA, REMODELED KITCHEN ISLAND WITH QUARTZ COUNTER AND NATURAL GREY WOOD CABINET WITH DEEP DRAWERS, PULL-OUTS GALORE, 2014 SAMSUNG SS FRENCH DOOR REFRIGERATOR COUNTER DEPTH & LAZY SUSAN,DIAG. TILE THROUGHOUT THE LIVING AREAS,PORCELAIN WOOD PLANK LOOKING TILED FLOORS IN 4TH BDRM,WAIT UNTIL YOU SEE THE MASTER BATH, FANTASTIC FREE STANDING BATHTUB, TREMENDOUS WALK IN LEVEL SHOWER W/FRAMELESS GLASS & THE 24'' SQUARE PORCELAIN TILES THAT GIVE IT THAT SPA LOOK AND CONTINUES INTO THE MASTER BEDROOM SUITE, THE EXTENDED SCREEN ENCLOSED PATIO IS SURROUNDED BY LUSH TROPICAL TREES AND PLANTS THAT GIVE IT A TRANQUIL FEELING!! !MAINTENANCE INCLUDES TRIPLE PLAY WHICH INCLUDES WIFI, TELEPHONE AND CABLE INCLUDING HBO AND SHOWTIME! JOIN THE VALENCIA PALMS LIFESTYLE, FABULOUS MULTI-MILLION DOLLAR CLUBHOUSE RENOVATION COMPLETED, CAFE WITH TABLE SERVICE, STATE OF THE ART FITNESS CENTER, SPECTACULAR RESORT STYLE POOL, HARD-TRU TENNIS, TENNIS PRO, PICKLE BALL, BOCCI BALL, SHOWS, PARTIES, TRIPS AND MORE! 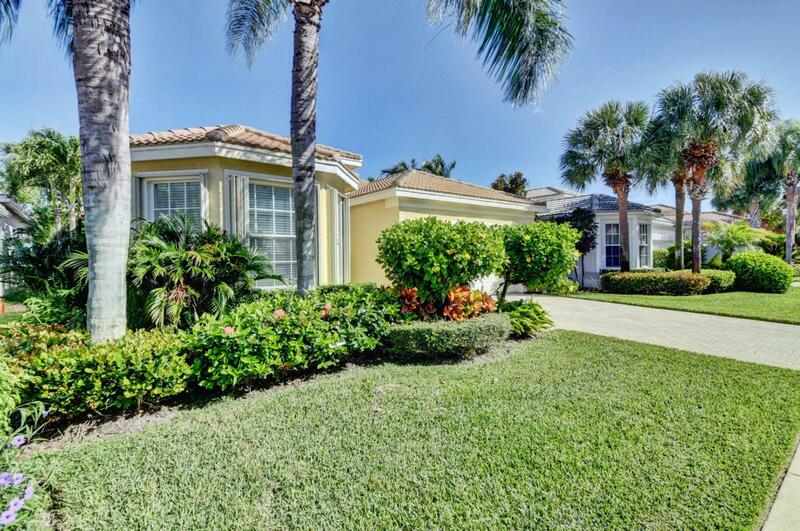 VALENCIA PALMS IS LOCATED IN CENTRAL DELRAY BEACH BETWEEN I-95 AND THE FLORIDA TURNPIKE, CLOSEST VALENCIA TO DOWNTOWN DELRAY AND THE BEACHES AND CLOSE TO THE DELRAY MARKET PLACE!